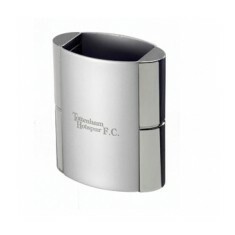 We supply a range of personalised Pen Pots, all of which can be customised with your design. 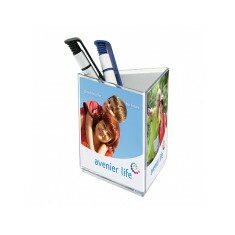 You will find high quality branded metal pen pots, which can be laser engraved as well as fun, colourful plastic ones. 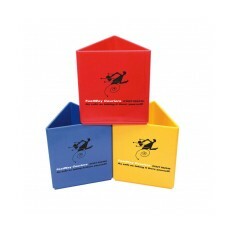 Make searching for a pen under your mountains of paper a thing of the past and instead have them all neatly organised in order of favourite, colour, however you want to with your promotional pen pot. 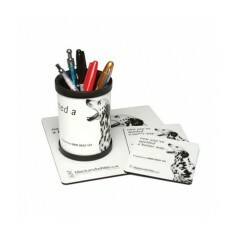 These customised items are great for helping anyone who has a messy desk and any desk revamps to help keep your message on show and encourage organisation. 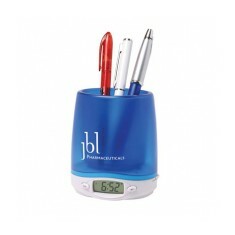 Keeping your stationery together has never been easier and smarter with our range of branded pen pots! 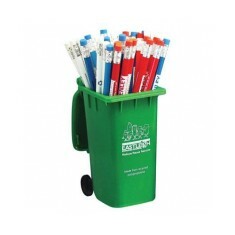 Stash all your pens neatly in the corner of your desk with a promotional pen pot. 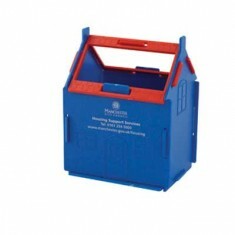 Designed to keep all your stationery tidied and easy to access. When you’re looking for a quirky alternative to traditional pen pots, our customised Wellington Boot Pen Pot is exactly what it says on the tin. 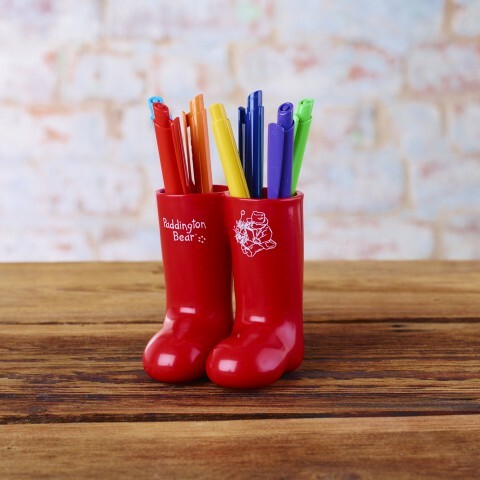 This marvellous creation is not an accident of putting them on too high a wash, these boots were designed specifically to keep your stationery tidy. 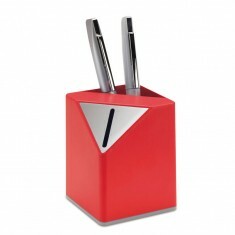 Available in a whole host of colours, this pen pot is sure to catch the eyes of anyone who passes your desk. Perhaps classic is more your style? In which case our Honeysuckle Pen Pot has a curved design and a rubber bottom to stop it from scratching your desk. 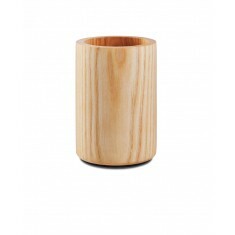 FSC certified wood and with a high quality engraving, this pen pot looks premium and will impress any clients. Looking to get some more information on getting them personalised with your design? Give our sales team a call today! 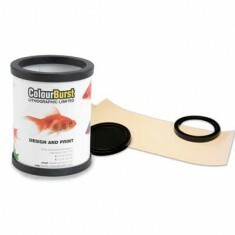 Create a really bespoke Pen Pot with our custom printed Self-Assembly Cardboar..
Great product supplied flat pack for your child to assemble and keep on their ..
Made from recycled plastic. 3 colour choices. Branded to front of the bin. 350gsm gloss encapsulated insert. Branded full colour. Print wraps around the body. FSC certified wood. Rubberised bottom. Ash or black versions. Engraved as standard. 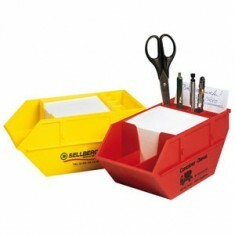 Keep your desk tidy with our Smart Holder Tri Pen Pot Primary. 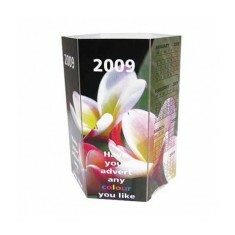 Moulded here in..
Can be printed with or without dates in up to full colour. Made from a 1200 mi.. 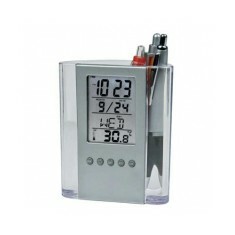 Built in LCD clock. Batteries included. Blue or white colour choice. Printed to the front. Mouse mat, matching coasters & pen pot. All personalised with your design. 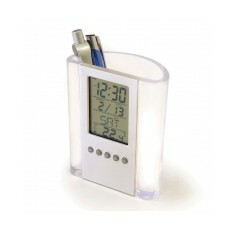 The custom printed skip desk tidy has room for pens, paperclips and other desk..
Black pen pot with date, time and temperature display. 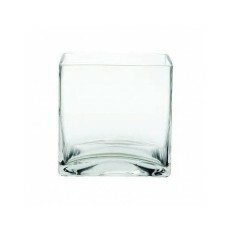 Clear and simple design is characteristic of this acrylic desk pen holder with..
Acrylic material. 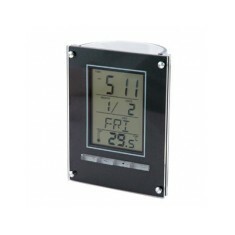 Time, date & temperature displayed. Battery powered. 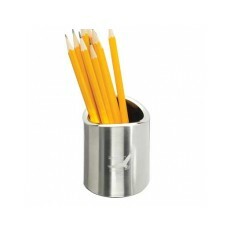 Two tone nickel plated heavyweight pen pot supplied individually boxed. Inverted engraved to 1 side as standard. Multiple positions available. Brushed metal finish. Premium laser engraved design. Large capacity.